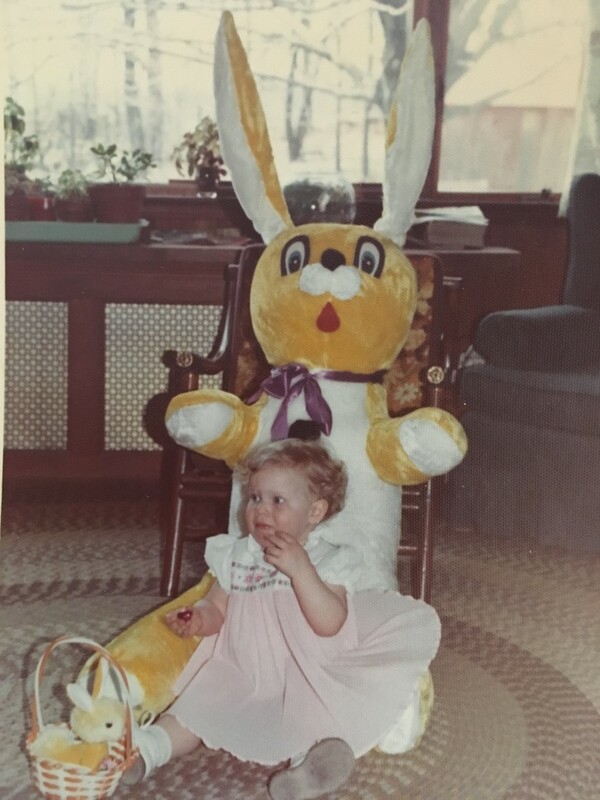 As the first grandchild, I was the lucky recipient of Harvey, the bunny that my grandfather won at Wolfe’s Bakery, one of the yummiest places of my childhood. In this picture, it seems as though I was more interested in the candy or whatever else was going on in the room. Maybe someone was coming to take away the candy. 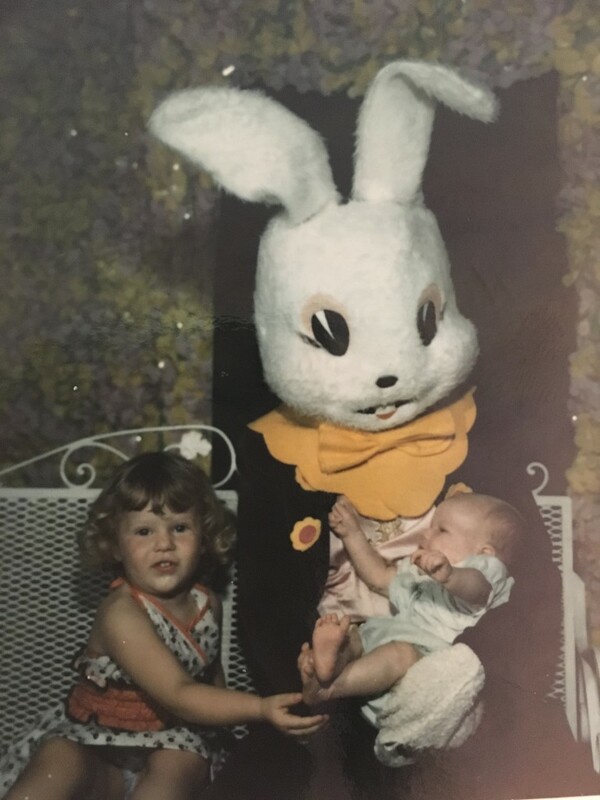 By the next year, I had a baby sister to take on a visit to the Easter Bunny. 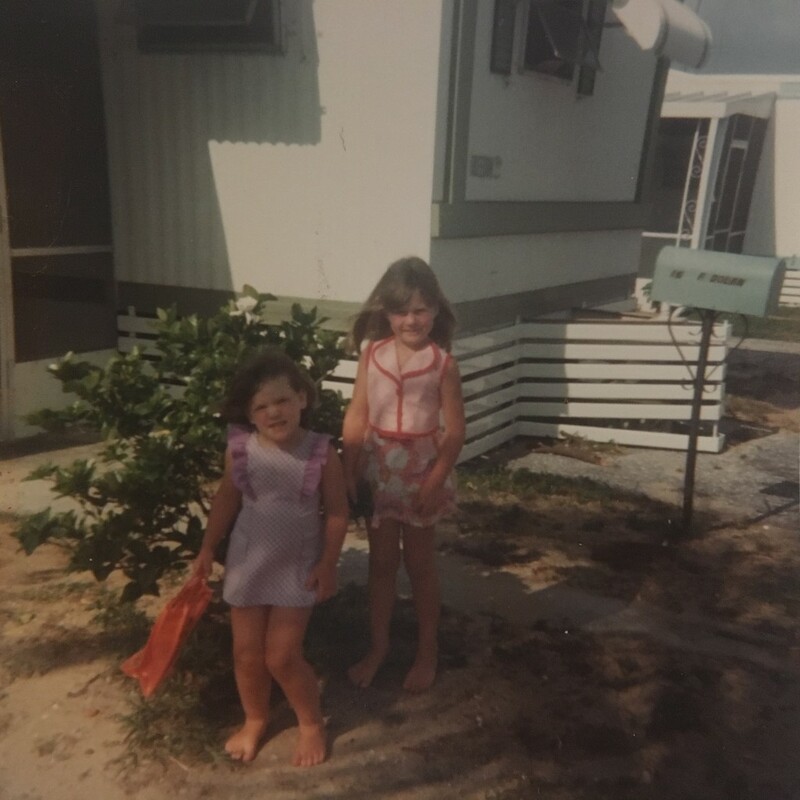 Based on what we were wearing, we must have been visiting our snowbird grandparents in Florida. 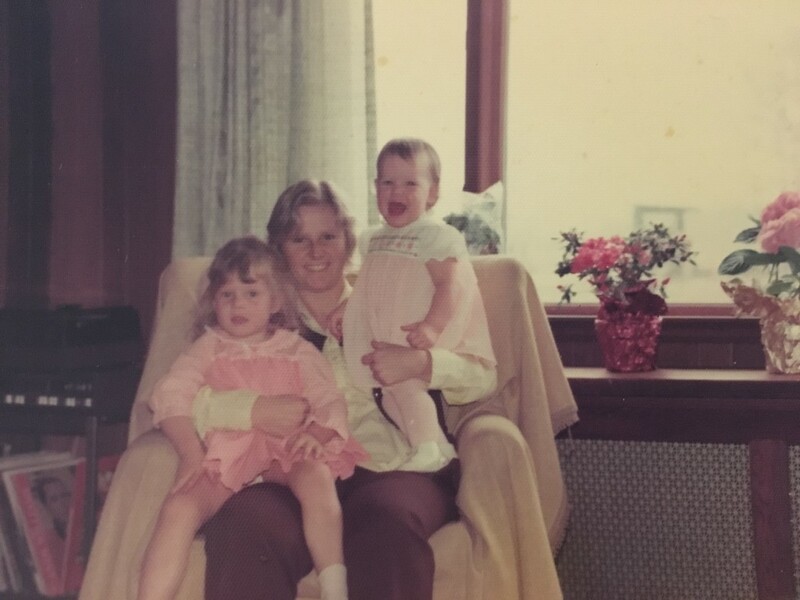 Easter 1974 Jennifer age 2 yrs. 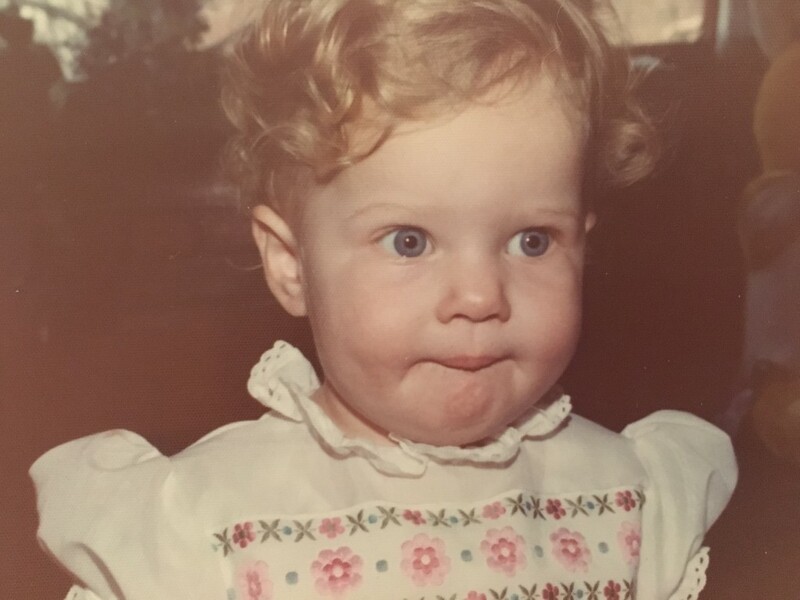 and Heather age 1 mo. 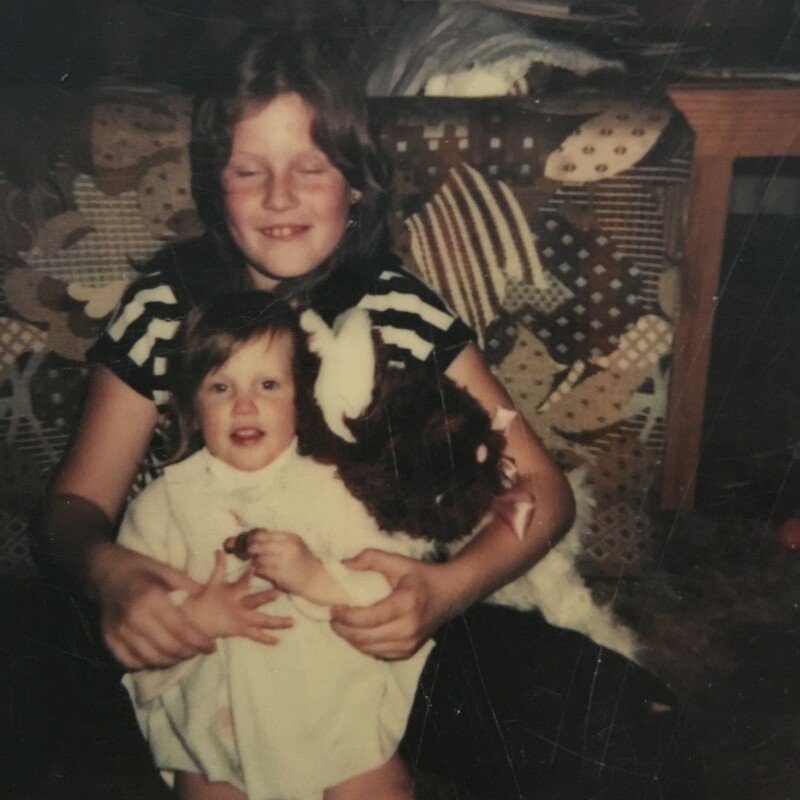 In 1975, we see that my sister wore my hand-me-down dress. I hadn’t noticed that before today. Timelines are extremely useful clue-finding tools for genealogists! 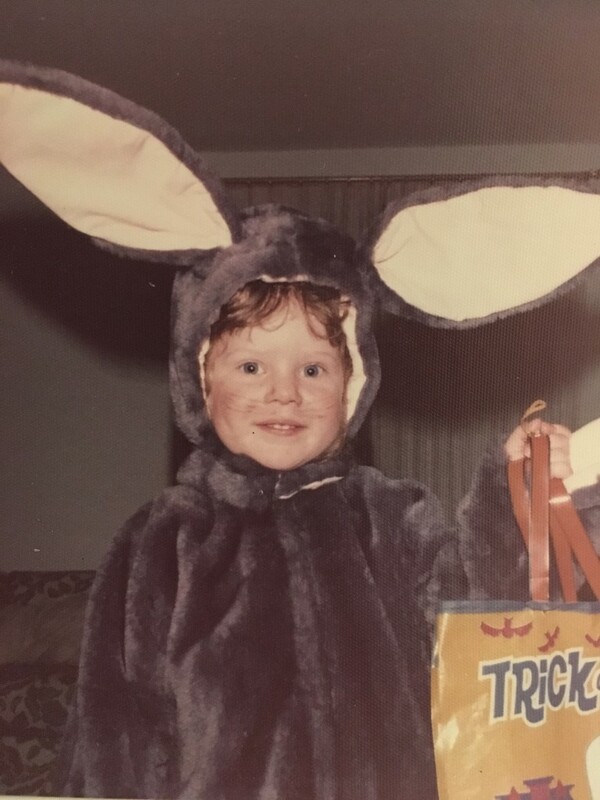 I must have liked our visit to the bunny because later that year, I dressed as a bunny for Halloween. My mom was a rockstar with a sewing machine and made me this spiffy bunny costume. 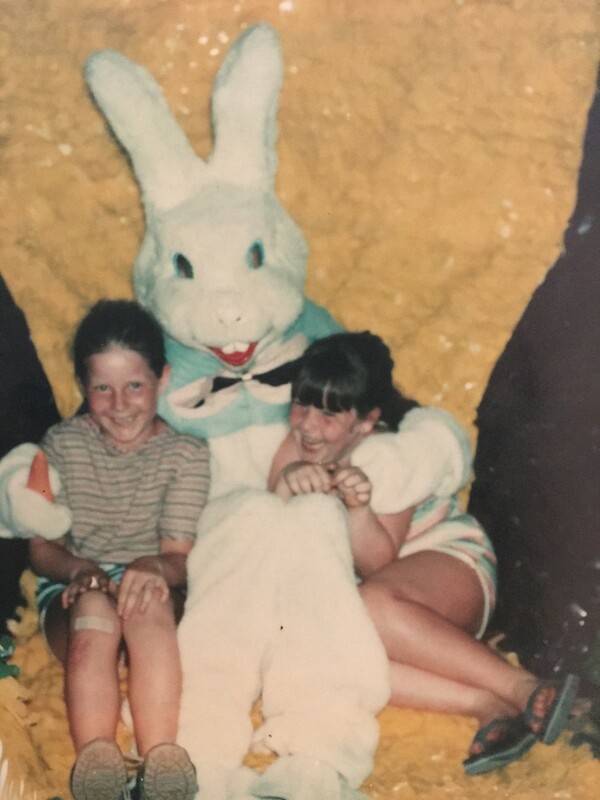 I’m not sure about this next one but I remember having more Easters in Florida. Maybe this was it? I love those adorable outfits. More creations by mom? 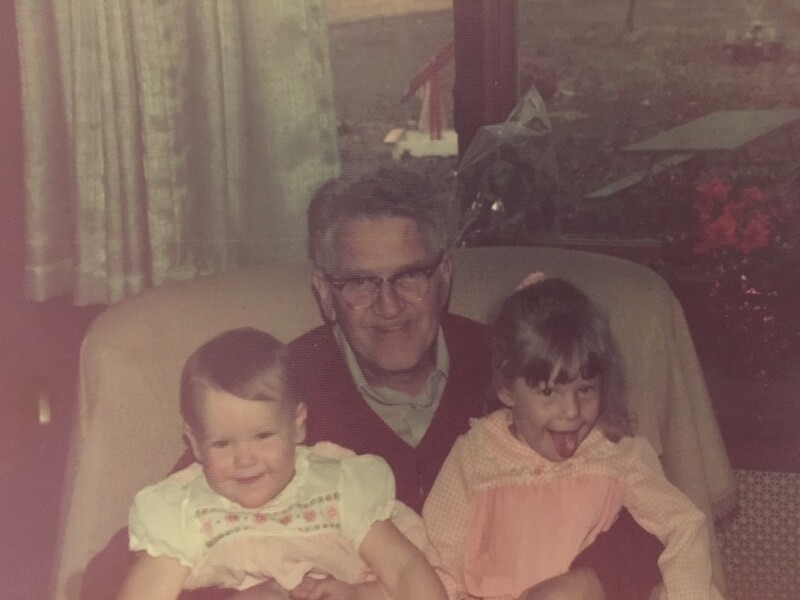 The last picture I have of me on Easter is when my cousin Kate was a bitty one. We still spend every Easter together.